The Hague (AFP) - Three years into her nine-year tenure the prosecutor of the world's only permanent war crimes court is battling a growing caseload as she fights "to give victims a voice." This year Fatou Bensouda, a trained lawyer from Gambia, opened preliminary probes into alleged crimes in Palestine, broadened the scope of an initial inquiry in Ukraine, and has asked the ICC to open a formal investigation into the 2008 Russia-Georgia war. Now she is joining calls for the International Criminal Court to increase its annual budget to 153.32 million euros ($163 million) to pay for more trained investigators to delve into other pressing cases. In an exclusive interview with AFP on the sidelines of the court's annual assembly, Bensouda answered some of the criticisms of the court and her work. Since the court's launch in 2002, more than 30 people have been indicted but only two have been convicted and one acquitted. "I know that the wheels of justice grind slowly, whether at the international level, or even at the national level. It grinds slowly, but it does grind. And I believe that what is important is that eventually, justice will come to the victims." She insisted that as a "young institution" the court had encountered many new issues which had slowed its initial pace. What is your response to criticism that only Africa is in the dock? "This criticism does not match the reality... It is a blanket criticism. Yes, it is true, I will not disagree, that all our cases that are in trial are from Africa. This is true. And all the people so far that are in the dock, are also from Africa." But Bensouda insisted: "All the cases that we have, except Kenya, Sudan and Libya, all those cases were at the request of African states asking for the ICC's intervention." Should Syria's Assad be probed for war crimes? "We never say in our investigations that a certain individual should be investigated or not. We always go by the evidence as long as the situation is in our jurisdiction and the crime falls within our jurisdiction. When we investigate it is the evidence that always leads us to the person who will be charged." "Obviously what is happening in Syria ... is quite serious... but because we do not have territorial jurisdiction I must say my office is not looking at it." Will any Islamic State members ever face the ICC? "It's difficult for me to say, but I would not say it's impossible. It just depends on how much information I have on the nationals of state parties." Neither Iraq or Syria are signatories to the court, so Bensouda has no territorial jurisdiction over crimes committed there. She is requesting more information on the foreign fighters and where they come from, as those from member states could possibly be open to prosecution. What is the biggest challenge in 2016? "There is a lot of misunderstanding about how the court works ... especially in the face of the propaganda that is being made against the court. Because people are deliberately misinforming about the ICC, politicising the court... and unfortunately from responsible leaders." 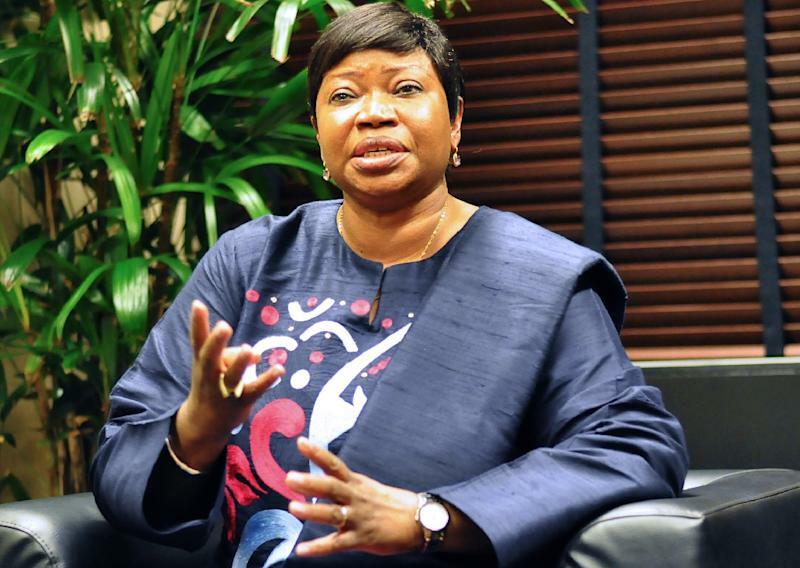 Bensouda would not say who was leading what she called a "direct attack on the court" but the ICC has been fiercely criticised by many African nations. Why should the court be given more funds? "The world has leaped forward when they have said no more impunity for these crimes. If they do happen we must address them, people have to be held accountable." "The demands are growing, the court is being called upon and expected to intervene even in areas where we don't have jurisdiction." Are your hands tied by the ICC's statute? "I can only strictly apply the statute. That is my mandate, that is my legal framework... but I can tell you maybe not as the prosecutor of the ICC, but as a human rights activist, I do feel frustrated sometimes." How do you cope having to try the world's worst crimes? "You cannot completely separate yourself from what you are doing because these aren't statistics. Sometimes you talk about 1,000 people died, 100 people died. And people just think about the numbers. But these are lives of people. These are lives of mothers of sisters or friends." "We should be able to do something to give them a voice."